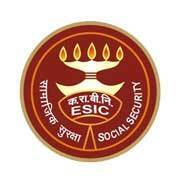 ESIC Jobs Recruitment Notification 2018.Employees State Insurance Corporation, ESIC inviting applications for the positions of Senior Resident.Interested and Eligible candidates can apply for the positions. Qualification/Eligibility Qualification: PG Degree or Diploma in the concerned Specialty from recognized University and registered with DMC. If such candidates are not available in the particular specialty, those without PG Qualification having at least two years experience after MBBS in concern specialty out of which one year Junior Residency from a Govt. Hospital in the concerned specialty can be considered. 2. Emoluments: For PG Degree/Diploma: In the entry pay level - 11(pay scale of Rs.15,600-39,100/- +Grade pay of Rs.6,600/- , pre revised) plus other allowances as admissible in ESIC. For MBBS with experience: : In the entry pay level – 10 (pay scale of Rs.15,600-39,100/- +Grade pay of Rs.5400/-, pre revised) plus other allowances as admissible in ESIC. Age: Not exceeding 37 years as on 30-06-2018 (Relaxation for OBC/SC/ST/PWD and all others as per central government rule) OBC candidates are required to submit latest OBC Certificate as per Central Govt. Proforma (not more than one year old). Application Fee: Demand draft of Rs.300/-. In case of candidate belongs to SC/ST Rs. 75/- (Non Refundable) drawn in favour of ESIC Central Fund Account No. 1 payable at New Delhi, PWD & female candidates exempted from payment of Fee. 6. Two Photographs (PP Size). (1) Final No. of vacancies may vary. (2) Candidates who have completed 3 years Senior Residency need not appear for interview. (3) For the post of Senior Resident Casualty, Candidate having 2 years’ experience after MBBS out of which 1 year Junior Residency from a Govt. hospital either in concerned speciality or in Medicine, Surgery, and Orthopaedics can be considered. (4) No TA/DA will be paid to the candidates for appearing in interview. (5) The candidate who is in Service should submit “No Objection Certificate” from the employer at the time of interview. (6) The selected candidate will have to furnish a DD/Bankers Cheque for an amount of Rs. 30,000/- (Rupees Thirty Thousand Only) drawn in favor of “ESI Central Fund Account No. 1” payable at New Delhi, towards security deposit. However, this amount will be appropriated towards administrative cost in case, the candidate resigns/terminates his/her contract within nine months of the commencement of the contract with or without prior notice and without one month’s notice for Senior residents on contract basis against the vacany of GDMO’s and one year for Senior resident under three years scheme. This is in addition to terms of contract under residency scheme. (7) 3% of total 37 posts for SR under 3 years residency scheme and 22 posts for SR against GDMO for 1 year on contractual basis respectively are reserved for the person with disabilities (PWD- OL, OA, & ND). (8) The decision of the selection board will be final. 1. All eligible and Interested candidates may appear for walk-in-interview alongwith all the testimonials in original and their one self attested copy as per schedule of “Walk-in-interview” on the date & time mentioned against their respective specialty. 4. Walk in interview will be held on 19/07/2018 to 20/07/2018.